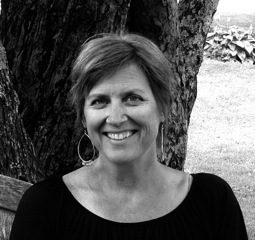 Stephanie began her position of Executive Director with On Belay in January 2013. Stephanie has worked with several non-profits professionally and as a board member/volunteer. She also ran her own business for several years. Stephanie comes to On Belay with a deep desire to increase the visibility of On Belay in NH, ME and Northern MA. She looks forward to forging partnerships with organizations that need to know about On Belay to better serve their constituents, and with corporations and individuals interested in supporting On Belays Mission. Stephanie is a deep thinker, asks great questions, and looks forward to spreading the word about On Belay while also increasing the breadth of On Belays financial support. Stephanie loves to talk about On Belay – please feel free to seek her out if you have any questions – she is happy to talk on the phone or meet for coffee anytime. She is deeply dedicated to On Belay and has a calmness about her that makes everyone feel comfortable in her presence. Stephanie is an Oregon native but has been living in the Seacoast area for more than 20 years with her husband and two daughters. Aaron started as Program Director with On Belay in January 2018. He comes with many years of experiential and adventure education experience, both overseeing programming and facilitating activities for groups of all ages. He has spent much of that time facilitating challenge course elements, teaching ecology, and leading wilderness trips in northern Maine and along the Maine coast. Aaron is excited to bring his knowledge and experience to the On Belay community. In his work, Aaron has found that kids and adults alike, can learn so much about themselves when they engage in new experiences. Whether that is climbing on a challenge course, paddling a river, or meeting new people, shared experiences can unlock new abilities and strengths they never thought they had. Aaron hopes to foster these experiences with the On Belay community and continue to support kids in finding their inner resilience. Outside On Belay, Aaron enjoys cycling both on the road and trail, cross-country and downhill skiing, and observing nature. He is a Registered Maine Guide, Wilderness First Responder, and member of the National Ski Patrol. Aaron and his wife live in Pittsfield, NH.